Carlos Tevez rejoined Boca Juniors in January after leaving Shanghai Shenhua. Carlos Tevez said he accepts that he will not be a regular starter at Boca Juniors this season. Tevez, who entered as a substitute in the 71st minute of Boca's 6-0 triumph over Alvarado in the Copa Argentina round of 64 on Wednesday, scored the last goal from the penalty spot. 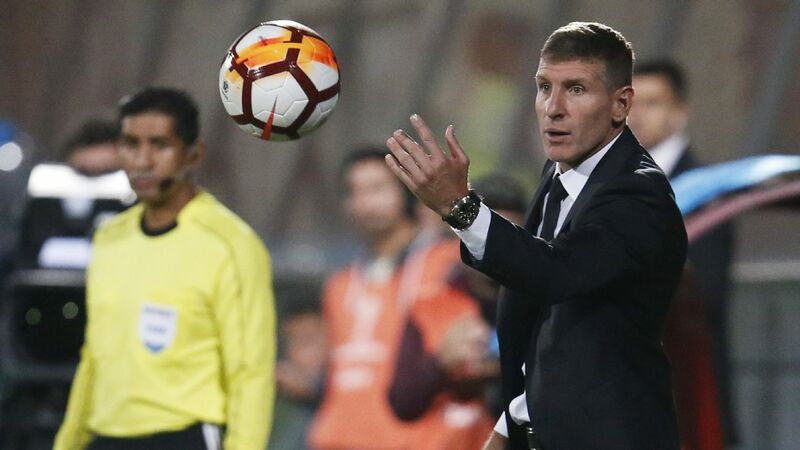 "I'm not the first option for the coach," the former Manchester United and Manchester City striker told TyC Sports after the game. "I have to give my contribution in the role that I find myself in and I accept it because this is the club that I love. I just have to be ready for when I do play." Tevez left Boca in December 2016 for a move to Shanghai Shenhua, but injuries and a lack of fitness limited him to four goals and five assists in 16 league appearances. He returned for a third stint at Boca in January, despite having one year left on his contract with Shenhua, and scored three goals and set up two more in 10 starts to help the club win the Superliga title. Boca coach Guillermo Barros Schelotto said benching Tevez is nothing personal. "It seems logical and clear to me," he said after the game. "Our message is that the best will play. Carlos is part of a group that has to row in the same direction, regardless of who plays, and that is how he and the rest understand it." Barros Schelotto, meanwhile, said he would turn down the Argentina coaching position if offered since he is under contract at Boca. The Argentina Football Association is looking for a new coach after sacking Jorge Sampaoli following the team's round-of-16 exit in the World Cup. Cesar Luis Menotti, Argentina's coach for their 1978 World Cup title, considers Schelotto the ideal candidate to replace Sampaoli. "I'm a person who likes to honour contracts," Barros Schelotto told TyC Sports. "To complete a contract gives you an added value to your career, your titles, your triumphs. ... I'm under contract with Boca until December 31 and until then, I will not speak to anyone. Hence, I'm not on that list, I don't have [the national team] in mind as a possibility."